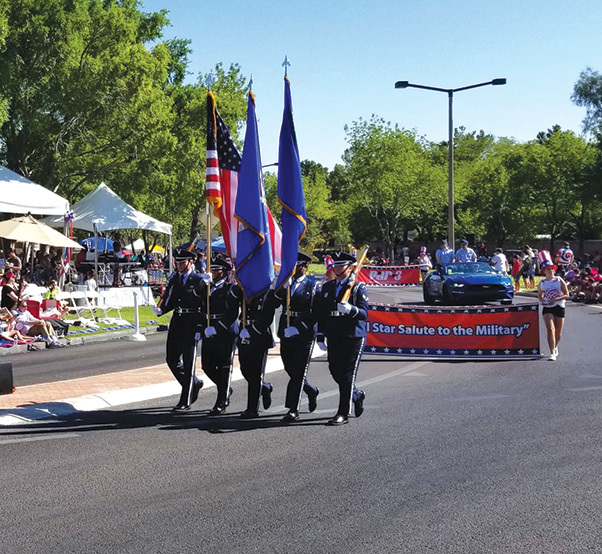 The Nellis Honor Guard leads the parade. 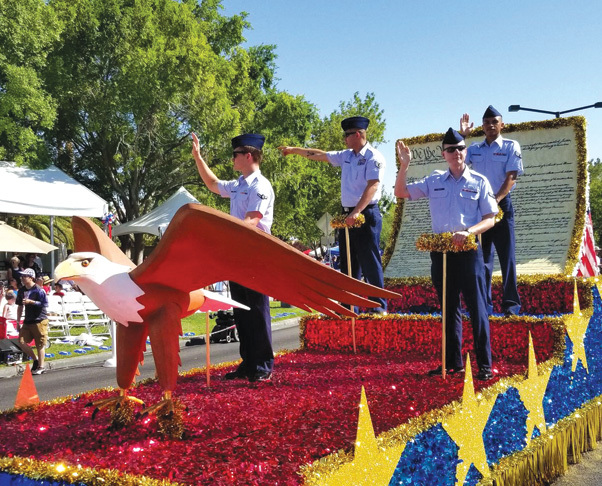 Nellis Airmen ride a float during the Summerlin July 4th parade. 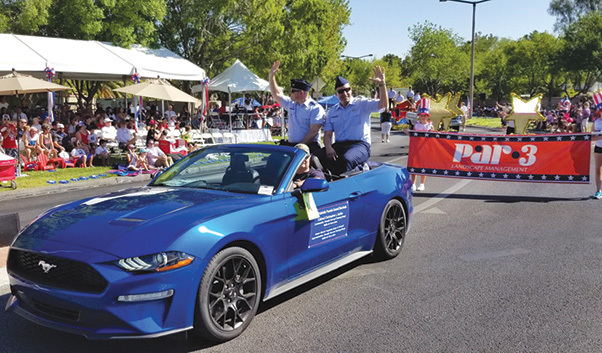 Nellis Airman ride in a car during the parade.